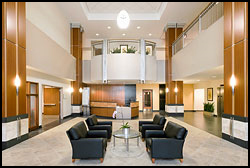 The Center for Spine Care (CSC) was founded by internationally-recognized orthopedic spine surgeon John Peloza, M.D. Dr. Peloza’s philosophy is simple: Integrate the best medical technology available with the most modern treatments for back and neck pain, and hire the best and most skilled people to provide patients with high quality care. The result of this vision is the Center for Spine Care, a high-quality, specialty treatment center, offering revolutionary technologies to treat patients. Dr. Peloza, a pioneer in minimal access spinal technology (MAST), has helped launch several minimally invasive treatments and serves as an investigator on many nationwide clinical research trials regarding the spine. He has been selected as a “Best Doctors In America” since 2001, a “Top Surgeon” by the Consumers’ Research Council of America, and has consistently been voted as one of the “Best Doctors in Dallas” by D Magazine. Patients from all over the country and internationally come to the CSC for its reputation for revolutionary and modern treatments. 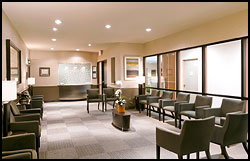 We are conveniently located in Dallas and Frisco.